Families for Orphans: Orphans at New Hope for Children in India sing, pray, and praise the Lord! Enjoy and be encouraged by this video! 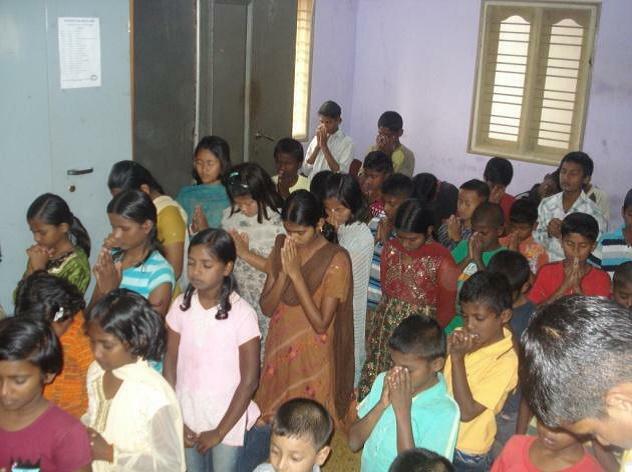 Orphans at New Hope for Children in India sing, pray, and praise the Lord! Enjoy and be encouraged by this video! On most mornings, the children at New Hope for Children orphanages arise at 5:00 a.m. to pray, read scriptures, sing, and praise the Lord. Please enjoy this brief video, and praise the Lord for the hearts of these precious children! We are currently seeking sponsors and financial partners to cover the cost of feeding, clothing, educating, and providing a loving Christian environment for more than 120 children in four orphanages. To learn more about sponsoring a child and meet some of the children who need sponsors, click here. Currently, 46 children have sponsors and 78 children do not... so New Hope is praying for those who will partner with them and help provide food, clothing, and education for children who do not have sponsors. If you would like to make a one-time donation or help with a regular donation, just click on the GIVE button. A donation of just $10 per month will provide food for one child for an entire month!